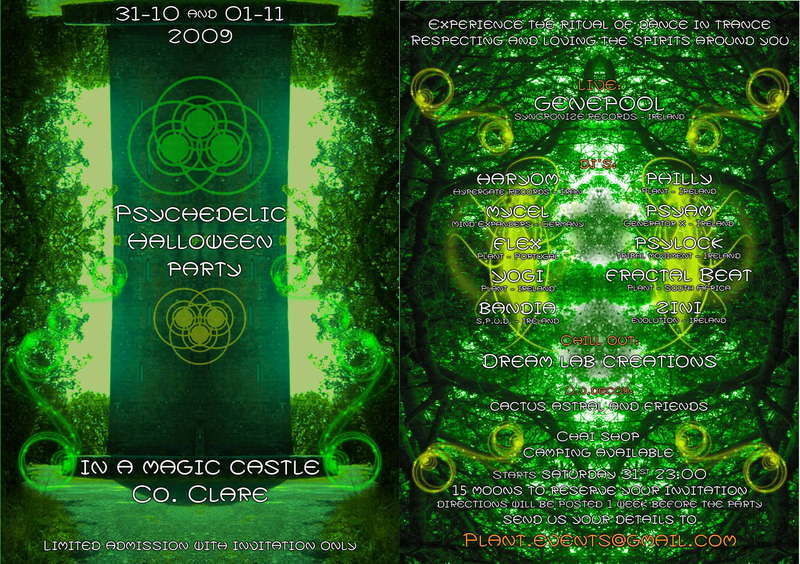 We are planning a Halloween party in a private castle in Co. Clare for the 31st October and 1st of November. The party will be organized by invitation only, with limit of 100 people. and will be a charge of 15€ to cover expenses for the 2 days. There will be two areas, Psytrance and chill out. Food and hot drinks available. The castle have camping facilities. To confirm your invitation could you email your details to plant.events@gmail.com please. we don't want the party to be overcrowded so only people with invitation will have access.